Xiaomi Redmi Note 3 smartphone is also known as Xiaomi Redmi Note 3 Pro. Redmi Note 3 features Snapdragon 650 processor that uses ARM's flagship Cortex-A72 cores to launch applications in a split-second. Its next-gen Adreno 510 graphics processor delivers a fluid gaming experience. Combined with MIUI 7's system-level speed optimizations, Redmi Note 3 responds to every touch in a snap. Xiaomi Redmi Note 3 comes with 1.8 GHz hexa-core CPU, Qualcomm Adreno 510 GPU, 4G LTE connectivity, Wi-Fi 802.11 ac, GPS, Bluetooth. The Android-powered smartphone also features a 5-megapixel front-facing camera, 16-megapixel rear-facing camera, and non-removable Li-Po 4050 mAh battery. The table below provides more detailed information on the Xiaomi Redmi Note 3 specifications. Notable Features Dual SIM (Micro-SIM/Nano-SIM, dual stand-by), Wi-Fi 802.11 a/b/g/n/ac, dual-band, WiFi Direct, hotspot, Bluetooth v4.1, A2DP, LE, GPS with A-GPS, GLONASS, BDS, Infrared port, Stereo FM radio, recording, microUSB v2.0, USB On-The-Go, Fingerprint, accelerometer, gyro, proximity, compass, SMS (threaded view), MMS, Email, Push Mail, IM, HTML5 browser, Fast battery charging, XviD/MP4/H.265 player, MP3/WAV/eAAC+/Flac player, Photo/video editor, Document viewer, Vibration, MP3, WAV ringtones, loudspeaker, 3.5mm jack, 24-bit/192kHz audio, Active noise cancellation with dedicated mic, and many more. Disclaimer We can not guarantee that the Xiaomi Redmi Note 3 specs is 100% correct. The information on MultiCellPhone.com page is provided in good faith for informational and reference purposes only. If you see any inaccurate or incomplete data, please let us know. For more specific information, please go to the device manufacturer's website (Xiaomi) for the full Xiaomi Redmi Note 3 phone specifications. 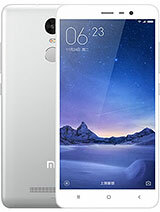 0 comments on "Xiaomi Redmi Note 3 Specs (Phone Specifications)"